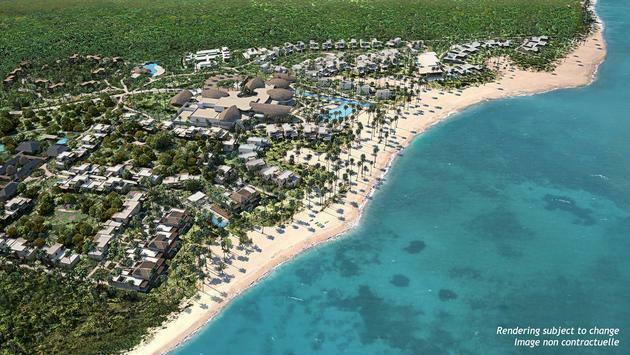 Just months after breaking ground on Club Med Michès Playa Esmeralda in the Dominican Republic, Club Med has revealed an initial look at its first Exclusive Collection resort in the Americas. The 93-acre resort is slated for a December 2019 opening in the untouched region of Miches about 90 minutes north of Punta Cana. The flagship resort to Club Med's Exclusive Collection—a collection of resorts offering premium accommodations, personalized services, refined dining concepts and lounges, transformational experiences and unique architecture and design in one-of-a-kind settings around the world—in the Americas will be an "eco-chic haven" dedicated to preserving the natural beauty that made the region such a coveted destination in the first place. The resort's infrastructure has already earned its BREEAM certification based on environmental, social and economic sustainability performance. What's more, Club Med Michès Playa Esmeralda will enact a no plastic straw initiative as part of the company's global commitment to eliminate single-use plastics from all of its resorts. Plus, a tree replanting program will ensure every tree removed for construction is replanted in or around the resort area. 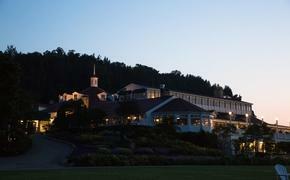 The resort will also introduce a new concept to the Exclusive Collection with four boutique villages boasting their own unique environments, activities and accommodations catering to different types of travelers. The villages include Archipelago, Caribbean Paradise, Emerald Jungle and Explorer Cove. Archipelago will feature an adults-only oceanfront sanctuary, suites boasting private pools and personal outdoor showers as well as personal oceanfront daybeds, making it the ideal place for couples and honeymooners. Meanwhile, the Caribbean Paradise boutique village serves as the colorful "heart of the resort." Guests staying here can participate in poolside activities, nightly shows and more. Catered to families and couples, this village will wow with lush tropical gardens showcasing eye-popping local flora. Wellness travelers will be drawn to Emerald Jungle, a village Club Med describes as a "relaxing eco-chic retreat." Located just steps from the spa, Emerald Jungle will feature accommodations and a natural pool that will be part of Club Med’s Zen Oasis concept, an adults-exclusive offering focusing on peace, tranquility and health. Lastly, Explorer Cove will lure families seeking a fun-filled adventure. This village will offer world-class children's clubs designed for kids from four months to 17 years of age as well as a plethora of activities such as movies under the stars. "For almost 10 years, our team searched to find the perfect new land in the Caribbean to introduce to our guests. Miches was a natural fit—we found many locals, and even our own employees in Punta Cana, would spend their free days visiting this unspoiled location," said Xavier Mufraggi, CEO of Club Med North America and the Caribbean, in a statement. "After collaborating with the Dominican Republic Ministry of Tourism and learning of the new road they were building to make Miches easily accessible, we immediately knew that this was the destination we were looking for," added Mufraggi. "Now, we are thrilled to bring Miches to the forefront when we open Club Med Michès Playa Esmeralda in December 2019, the very first Exclusive Collection resort in the Americas."